Creativity Bites Back! : The idea is to WALK your dog!! The idea is to WALK your dog!! 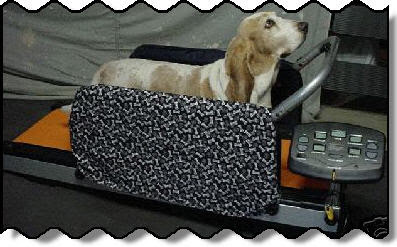 For "just" U$ 600 plus $100 more for shipping, you can get your dog a treadmill. Believe it or not, this product is online on EBay, and if there is a product there is a buyer. I can think of less than a handful situations where this product can be necessary. My dog, Soy, probably would not like one of this anyway. 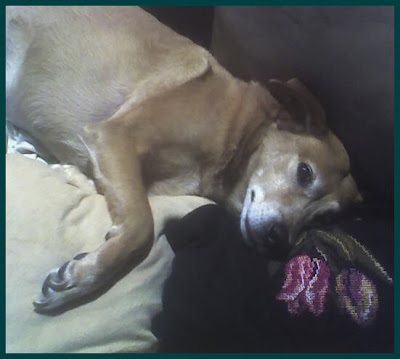 He likes to walk outside a couple of times a day, but inside the house what he likes the most is to sleep, in the couch or the bed all surrounded by pillows. You can see below how difficult his life is... No treadmill for him!